May apply for college scholarships. Eligible for free subscription to Lifeboat News, the internationally recognized online magazine of Lifeboat Foundation. Access to our exclusive VIP section. This section contains materials that include developmental images of our computer engineered Ark I. May request a copy (paperback or Kindle version) of our The Human Race to the Future: What Could Happen — and What to Do, or a copy (hardcover/paperback/or Kindle version) of The Singularity Is Near : When Humans Transcend Biology by Ray Kurzweil, or a copy (hardcover/paperback/or Kindle version) of Our Final Hour: A Scientist’s Warning: How Terror, Error, and Environmental Disaster Threaten Humankind’s Future In This Century  On Earth and Beyond by Sir Martin Rees. Eligible for a 25% discount on admission fees at ALL planetariums around the world. May request copies of The Human Race to the Future: What Could Happen — and What to Do, The Singularity is Near, and Our Final Hour. We have launched a forum/mailing list to discuss your ideas for our programs and other suggestions for the Lifeboat Foundation. It is for Advisory Board members and Executive Class and greater members. May request copies of The Human Race to the Future: What Could Happen — and What to Do, The Singularity is Near, and Our Final Hour and also of The Gathering Storm (DVD). The Gathering Storm is a movie starring Albert Finney and Vanessa Redgrave that shows Winston Churchill’s valiant but futile efforts to prevent World War II and save over 50 million people’s lives. Luckily World War II was not an existential risk as genetics, nanotechnology, and robotics are. Eligible for a 100% discount on admission fees at ALL planetariums around the world! May request visits by Lifeboat staff. Meetings are subject to availability and time constraints. May request copies of The Human Race to the Future: What Could Happen — and What to Do, The Singularity is Near, Our Final Hour, The Gathering Storm (DVD), and also of Kinematic Self-Replicating Machines. Eligible for a 100% discount on admission fees (including those of three guests) at ALL planetariums around the world! 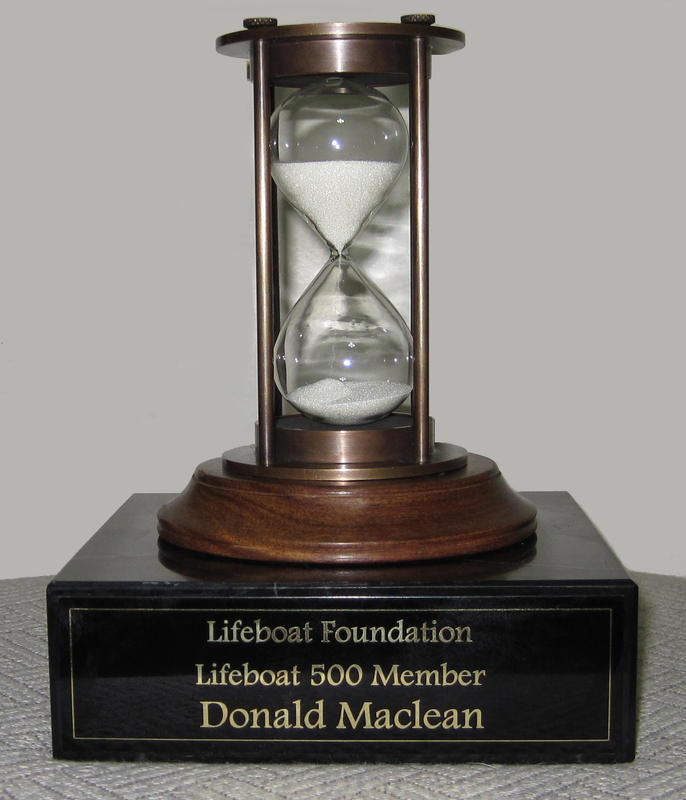 Receives all benefits of a Patron level membership plus can request a beautiful personally engraved marble trophy with a working removable half hour glass after they have been a member for one year.